Silver Bentley Flying Spur High Performance Hire Car – The Perfect Luxury Chauffeured Vehicle for any Special Occasion or Night Out in London. Aptly named Bentley Flying Spur delivers the luxury you expect from Herts Rollers, combined with incredible speed and performance produced by the powerful 6 litre engine. Despite being capable of reaching 0-60 mph in 4.3 seconds with a top speed of 200 mph, the Bentley Flying Spur interior environment remains one of serene calmness, due to special soundproofing installed in the floor and doors. The elegant Bentley Flying Spur is designed for those who seek unrestrained luxury and passenger comfort, for the ultimate motoring experience. With a beautifully styled exterior combined with an interior boasting hand-crafted leather upholstery and hand polished wood veneers, Bentley Motors’ expertise and craftsmanship is evident throughout the Flying Spur. The luxury you demand with the performance you expect. The Bentley Flying Spur is a remarkable luxury car, for one simple reason: it is also a powerful performance car. 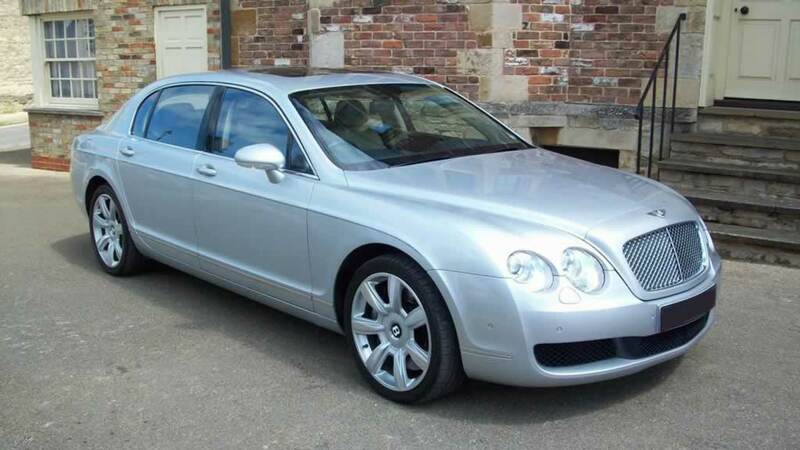 Herts Rollers Silver Bentley Flying Spur is the ideal vehicle for those who require fast, efficient chauffeur-driven transport, without compromising on comfort and style. Perfect for London shopping trips, business meetings and early morning airport transfers to any of the 5 London airports, the Bentley Flying Spur will not disappoint. 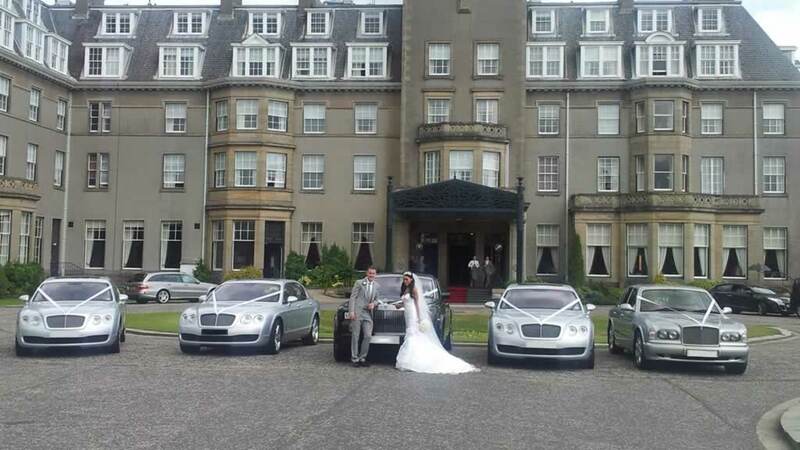 Herts Rollers can offer the Bentley Flying Spur in both Silver or White, making it the ideal ‘His-n-Hers’ vehicle for a wedding, with both Bride & Groom arriving in their own Bentley – the Bride in a White Bentley Flying Spur and the Groom in a Silver Bentley Flying Spur. A chauffeur-driven Bentley Flying Spur is suitable for all occasions requiring a luxury chauffeured vehicle; both business and pleasure. Enhance your enjoyment with the personal service of your own experienced, smartly dressed chauffeur for a stress-free journey. 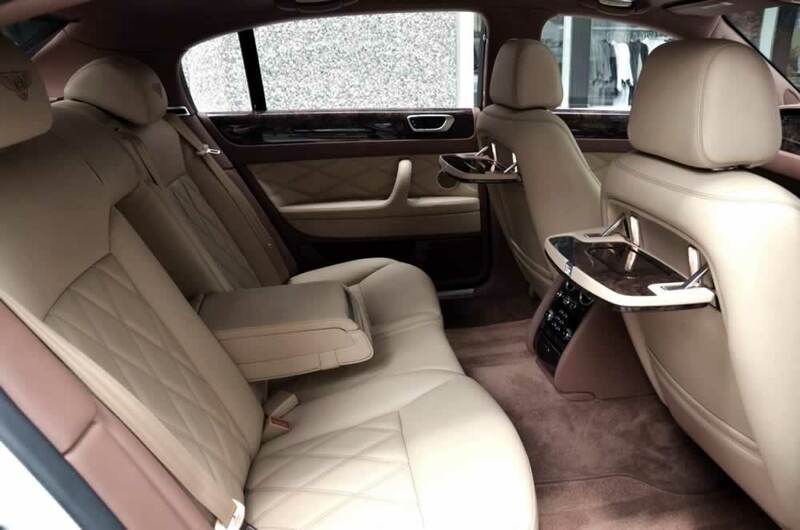 View below the many occasions and areas where you might wish to hire a Bentley Flying Spur, or perhaps another of luxury vehicle such as the Bentley Mulsanne, Rolls Royce Ghost or Rolls Royce Phantom from the Herts Rollers chauffeur-driven cars fleet. For up to 4 passengers, Hert Rollers Bentley hire service is the perfect chauffeur-driven solution for all occasions, from weddings to corporate events. Sister company Herts Limos provides limos for larger groups. 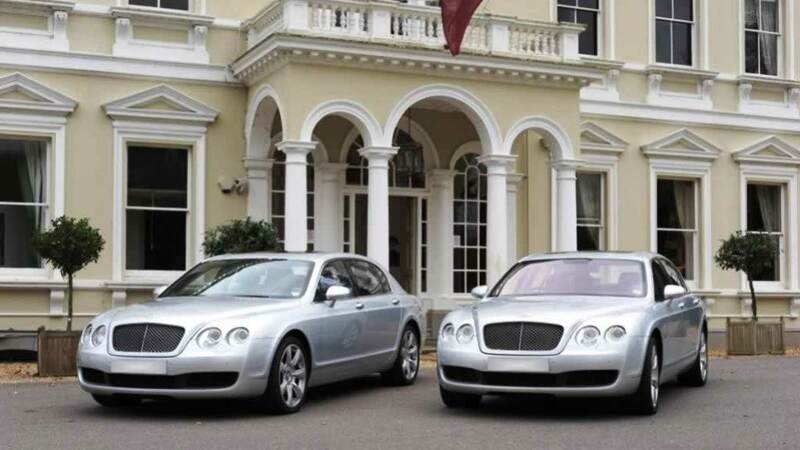 Headquartered just north of the M25 London Orbital Motorway in South Hertfordshire, Herts Rollers is ideally located to provide chauffeured Bentley hire in London, Herts, Essex and South East England. Herts Rollers, part of Herts Limos Group is based at Goffs Oak in Broxbourne, Hertfordshire, just north of the M25 London commuter belt. Herts Rollers is ideally situated to offer its chauffeur-driven Bentley & Rolls Royce hire service throughout London and SE England. In addition to London, areas include Bedfordshire, Berkshire, Bucks, Cambridgeshire, Essex, Hampshire, Hertfordshire, Kent, Oxfordshire, Surrey & Sussex.